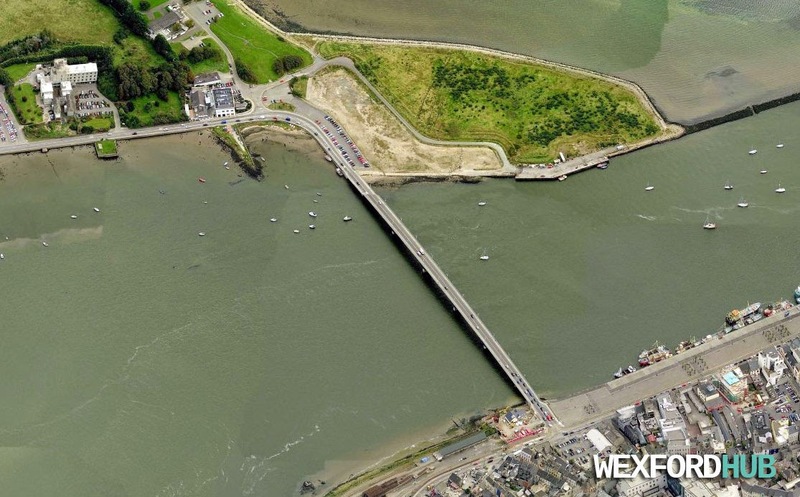 An aerial photograph of Wexford Town's iconic bridge. Taken from the Bing Maps "Bird's eye" feature. Visible are Ferrybank, the Riverbank Hotel and Ely Hospital. You can also see the RNLI station, which is at the base of the bridge. The fact that the station is still under construction in this picture means that it was probably taken pre-2010.